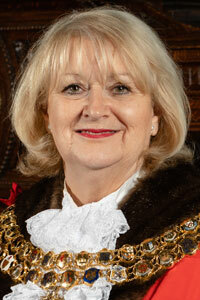 Represented Westhoughton Ward on Bolton Council from May 1988 until May 1992 and Halliwell Ward from October 1995. Deputy Leader of the Labour Group of Bolton Council June 2004 - December 2017. Leader of the Labour Group of Bolton Council from December 2017. Deputy Leader of Bolton Council from 24 May 2006 - 7 January 2018. Acting Leader of Bolton Council 8 January 2018 - 5 February 2018. Leader of Bolton Council from 5 February 2018.